The Grignard reagent is one of the most useful and versatile reagents known to the organic chemist and 100 years after its discovery, this book presents authoritative perspectives on the significant developments taking place using Grignard Reagents and related organomagnesium compounds. The book will prove of great interest to academic and industrial chemists active in organometallic chemistry of main group metals, organic syntheses, reaction mechanisms and structural organic chemistry. 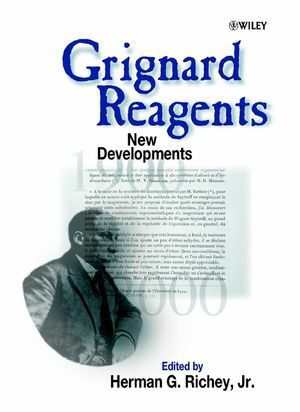 H. G. Richey is the author of Grignard Reagents: New Developments, published by Wiley. New Reactions of Grignard Reagents. Stereoselective Reactions of Organomagnesium Compounds. Mechanistic Features of Organomagnesium Compounds. Structures of Organomagnesium Solids and Solutions.